December 4, 2018 / Ana Luisa Bernardez Notz / Comments Off on Connect with Bidemi! If you’re a Photography major looking for professional opportunities, you should connect with Bidemi! Whether you are considering doing a Field Placement, or just want someone to look over your resume/portfolio and direct you to great resources, he can help. 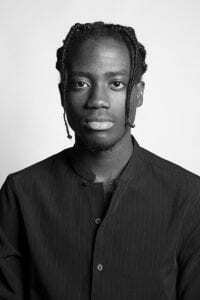 Bidemi Oloyede is Photography’s Student Career Ambassador for the 2018-2019 academic year. Student Career Ambassadors are senior students who assist the Career Development office. They support fellow students in their program of study by delivering valuable services and connecting them to professional and career development opportunities. Bidemi holds office hours in the Centre for Emerging Artists and Designers (Rosalie Sharp Pavilion 115 McCaul St, 3rd floor) every Thursday from 9am-12pm. If you can’t make it during these hours, you can also find him around the Photo Cage!